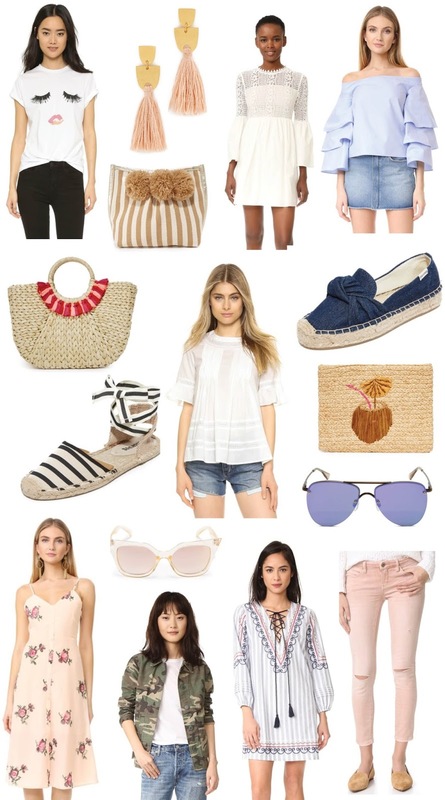 Shopbop Sale: Under $100 Finds! I almost always hate checking email or shopping online during vacation but there's only one sale that could make be break my rule and hop online: the Buy More, Save More Shopbop sale. By spending a minimum of $200, you're entitled to 15% off and orders of $800 or more receive 25% off. I thought I'd do something different this time around and share my personal picks - all for under $100. Yep - from transitional jackets, to denim, blouses and everything in between - you can score it all for a pretty price tag. I love all of your picks! !